My grand mother used to make ‘mango jam’ during summer to be served along with poori. I don’t know why it was called ‘mango jam’. Nonetheless, it made a great accompaniment to poori, an all-time-favorite combination with children. Mango jam can be made easily and in a jiffy. You can use it as a lunch box recipe for your kid – pack mango jam with poori or bread. Your child would just love it! 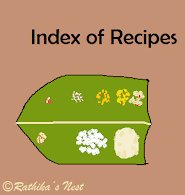 *Though I have used ‘Banganapalli’ variety, you can use any variety of mangoes. 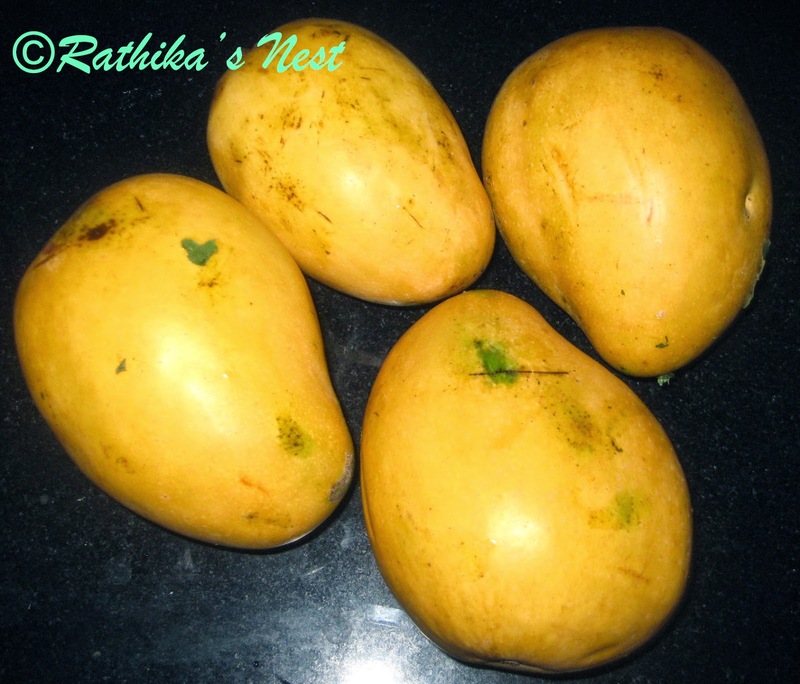 If you choose smaller sized mangoes, use two fruits instead of one. Method: Wash, peel and cut the mango flesh into cubes. Remove cardamom seeds. Powder cardamom seeds, dry ginger and pepper corns separately using a mortar and pestle. Keep aside. Mix jaggery with ½ tumbler (100ml) of water in a vessel and heat the mixture on slow flame till jaggery dissolves. Allow it to cool and filter the syrup through a sieve to remove impurities. Now cook mango pieces in jaggery syrup in a kadai on low flame. Once the mango is cooked, mash it with a spoon. Add cardamom powder, dry ginger powder and pepper powder. Mix well and cook on low flame, till the contents become a mass and start to separate from the sides of the kadai. Add ghee and simmer for a minute. Switch off the fire. Serve hot with poori. Alternatively you can serve chilled mango jam as a dessert. You may store this jam for a few days. Store in an airtight container and refrigerate.